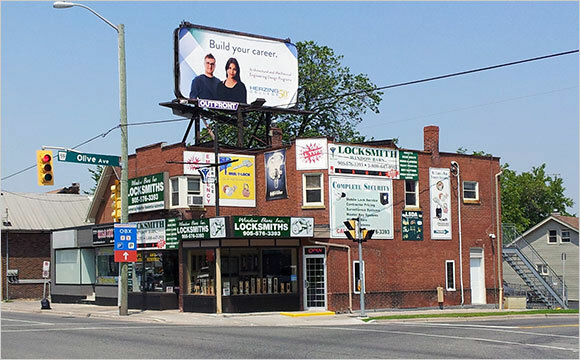 Our fully bonded Locksmiths and Security Professionals have been providing exceptional service both in-store and on-site throughout the Durham Region and surrounding areas for over 35 years. Whether you need a key recut or duplicated, a lock repaired or replaced, or you require emergency lockout services, one of our six experienced security professionals will provide you with prompt and efficient service. We offer a wide assortment of products and services to ensure that you, your family, and your valuables are safe and secure. Having problems inserting your key and turning the lock? Accidently locked yourself out of your house? Have some important documents in your safe and forgot the combination? We can help you with all of these scenarios and more. We offer a full range of services to meet all of your home, business, and automotive needs. 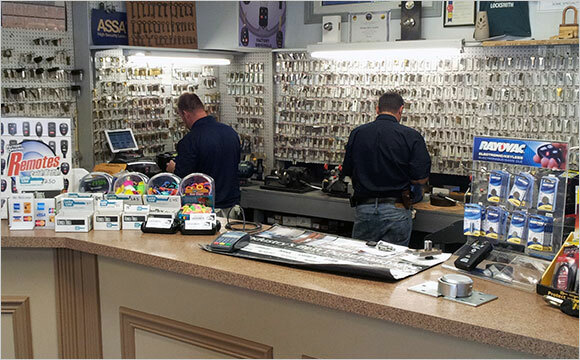 Some of our services include key cutting, rekeying, lock repair and installation (including high security locks), security camera installation, keyless access control system installation, and also safe opening (safe cracking). For a full list of the services we offer, please view our Services page. To meet your security requirements, we offer a wide variety of high quality products from the most respected brands in security including ASSA, Mul-T-Lock, Emtek, Medeco, ABUS, Master, SCHLAGE and USCAN. For a full list of the products we offer, please view our Products page. Our primary service area is the Durham Region including Pickering, Ajax, Whitby, Oshawa, Courtice, Bowmanville, Newcastle, Port Perry, and Uxbridge. Further to the east and northeast, we service parts of the Kawarthas including Port Hope, Cobourg, Peterborough, and Lindsay. To the west and northwest, our service area includes Metro Toronto, Mississauga, Vaughan, Markham, Richmond Hill, and Newmarket. For our Hours of Operation, Methods of Payment, and other Contact Information, please view our Contact page. Copyright © 2015 Window Bars Ltd. All rights reserved.